Toshiba common Batteries, search or browse. The good thing about Toshiba batteries is that there isn’t any confusion in finding models. The brand has a standard part number system for all Toshiba batteries starting from PA with a 4 digit number and a U at the end. E.g. PA3534U. The other good news is coming from us; we have some popular battery models in high capacity. This means users who are expecting to have a longer battery backup can buy 9 cell or 12 cell batteries. Currently we offer a high capacity battery for popular models in Toshiba Satellite, Tecra and we keep adding new products each week. What is the price for a Toshiba laptop battery? As we explain above most of Toshiba laptops use the 1 or 2 types of batteries and price range from AED 110 to AED 385, depending on the quality, model and the cells. We have quality of the OEM, Toshiba replacements, RSY and Toshiba original. We offer high quality batteries with a minimum 1 year warranty; this ensures the quality of the product. We have a huge variety of Toshiba batteries and you don’t have to worry about the availability, we can order even if it’s an old model. We have fast delivery from anywhere in the UAE, avoiding personal travel and wastage of your time. As we are always saying we have a same day delivery service in Dubai and next day delivery in other Emirate. 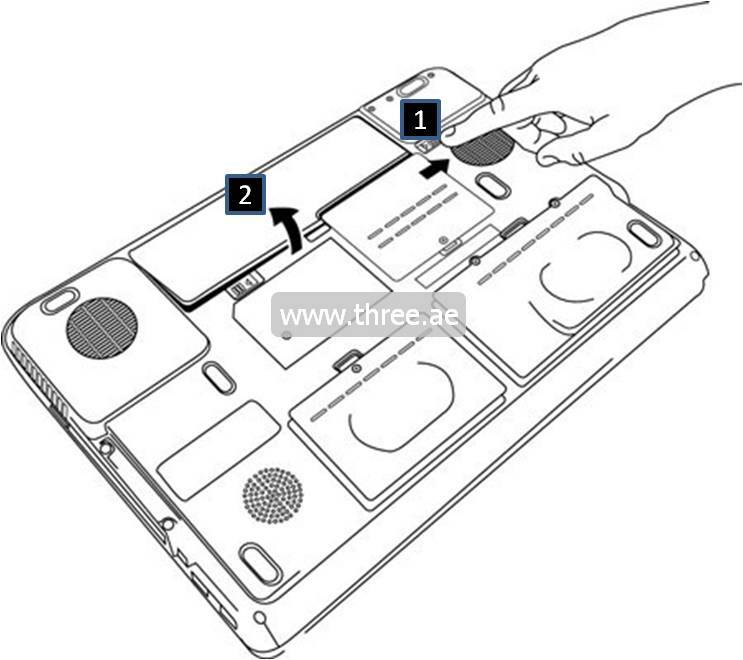 We are an expert in laptop parts for the UAE region so you can trust the quality of every product and our advice. Finding your model and choosing a suitable capacity. As we have mentioned above, you can easily locate your battery part number on every Toshiba battery by either the left or middle section. Its looks like PA3634U-1BRS. Many models have been designed to allow the usage of high capacity batteries. However, you need to make sure that the compatibility matches your specific model, ask from experts like our Tree.ae sales team. Based on mAh (milliamp per hours) you will be able to understand the capacity. Normally 4400 mAh is the 6 cells battery, 7800 mAh is 9 cells and 10800 mAh is the 12 cells capacity battery. What 1BRS, 1BAS, 2BRS and 3BRS numbers means? In Toshiba battery model numbers, there is confusion regarding a certain part of the whole part, this part is what many people always ask about. In every Toshiba battery part number there is a standard way of PA + 4 digit number and U letter at the end. E.g. PA3399U. However the confusing part is the last bit. It looks like -1BRS, so the complete model number should be PA3399u-1BRS and some models have PA3399U-1BAS, PA3399U-3BRS. If someone asked the difference between these 1BRS, 1BAS, 2BRS, 3BRS numbers the answer is that it depends. There are some old batteries that come with 1BAS and some high capacity batteries that are known from the 3BRS. We recommend ignoring the last part and sticking with the first 6 digits. E.g. PA 3285U. If you need to know more about this then kindly contact the technical department at Three.ae, we are waiting to serve you. This can be many reasons, normally this issue due to the malfunction of the adapter charger. However if you see following errors it’s indication of a faulty battery. 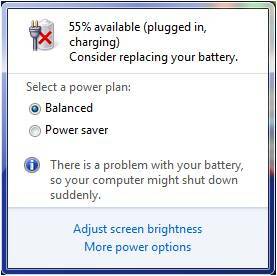 We have explained in details about all kinds of laptop battery issues on this page. 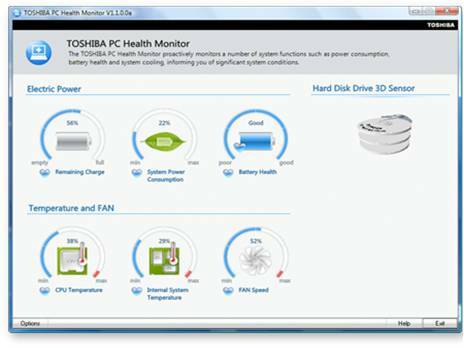 What we recommend is to use Toshiba PC health monitor to see any issues with the battery. This cool tool will allow you to understand the battery cycles and health of the battery. To learn more visit laptop battery page.